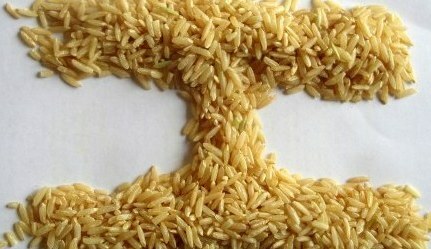 Three billion people on this planet depend on rice for over half of their daily total calorie intake. Most of these people eat white rice. Could the hippies and macrobiotics be wrong? What are the differences and benefits? Is this a smart carb? Besides the obvious difference in color, there are further distinctions between long grain, short grain, and over 8,000 varieties. Brown Rice is the whole grain with just the first outer layer (husk or hull) removed through milling. It still retains its fiber and the germ which contains many of the most vital nutrients. White rice is brown rice that has first been milled to take away the bran and much of the germ. This reduces the fiber and many nutrients. It is further polished to take away the remaining layer of germ (called the aleurone layer) which contains its essential oils. It is these oils which oxidize and go rancid. Sticky Rice or Not: Short grain rice has the highest starch content so makes stickier rice. Long grain is lighter and more fluffy. The fiber in brown rice reduces the time cancer-causing substances spend in the colon. Selenium has been shown to substantially reduce the risk of colon cancer. White rice has very little fiber. Eating whole grains with lots of fiber, like brown rice has been shown to assist in weight reduction plus the ability to keep the weight off! Refined grains are now being linked not only to weight gain but to diabetes (type two) and metabolic syndrome. A study at Louisiana State University showed that rice bran and rice bran oil reduced LDL (bad) cholesterol. In macrobiotics, brown rice has the most balanced energy in terms of yin and yang. All whole grains have bound phytonutrients which are released by the action of intestinal bacteria. These unique substances have health-promoting activity equal to or higher to than that of free form phytonutrients found in vegetables and fruits. Just one example is a lignin called enterolactone, that is thought to protect against breast and other hormone-dependent cancers as well as heart disease. * One main reason brown rice is processed is to increase its storage time. The essential oils go rancid after 6 – 8 months. White rice lasts up to 10 years. * The protein in white rice has also been shown to be more available. This is important in parts of the world where rice is the main source of calories, particularly since rice is not a high protein food to begin with. * It is for this reason also that white rice is used for weak and convalescent people. White rice’s lack of fiber is more acceptable to someone with a weak digestion and system. 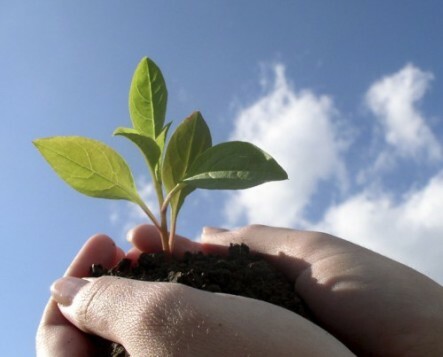 Germinated brown rice is more digestible and the sprouting process greatly increases certain nutrients. Germinated brown rice has twice the GABA (gamma-aminobutyric acid) of regular brown rice, and 10 times the GABA of white rice. GABA promotes fat loss by stimulating the production of Human Growth Hormone; increases the sleep cycle, giving deeper rest; boosts the immune system; lowers blood pressure; inhibits development of cancer cells and assists the treatment of anxiety disorders. If you are a reasonably healthy* individual living in North America** or any western country, then there is no question that brown rice and germinated brown rice are much healthier. They are both power foods! * If you are very weak and your digestion is very sensitive, then high fiber diets may bother you. ** Most North Americans get more than enough protein. Protein deficiency is practically unheard of here and our custom health testing shows that while 22 percent of individuals need more available amino acids it is usually a digestion problem, not a quantity problem. Just be careful, though, that your brown rice is not rancid. Putting rancid fats into your system more than negates any benefit you might get from the other nutrients. Buy small quantities from a source you trust and do a smell test before each cooking. Keep it refrigerated or use other preservation methods. 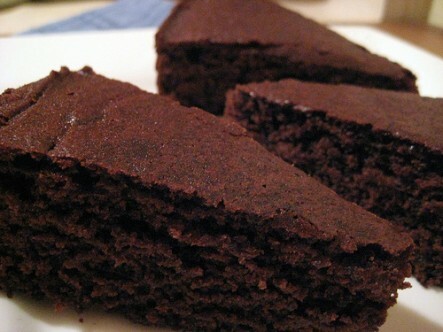 Ginger Cake: Made with brown rice flour, this is also vegan (dairy free & egg free), white sugar free and gluten free. Which rice do you eat and why? Please comment below. If you eat brown rice, how do you keep it fresh? There is no hippe but Xanthippe.